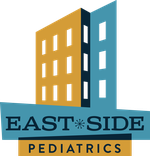 East Side Pediatrics unequivocally supports the routine pediatric vaccine schedule as laid out by the American Academy of Pediatrics. Prevention of illness is at the core of what we do. Children who are not immunized are a threat to the health and well-being of our infants, young children, and the immunocompromised patients that share our office. We yearn to create a strong doctor-patient relationship so you feel that the most reliable source of medical information for your child is East Side Pediatrics. Advice that is coupled to an office visit is most reliable. When questions come up between visits turning to the internet can be a natural reflex. There are many excellent and many terrible sources of information on the internet. UpToDate has emerged as a wonderful primary reference for doctors and medical professionals over the past decade. Now they have expanded their resources to include a Patient Information section geared more toward non-professionals. Please consider their information strongly.